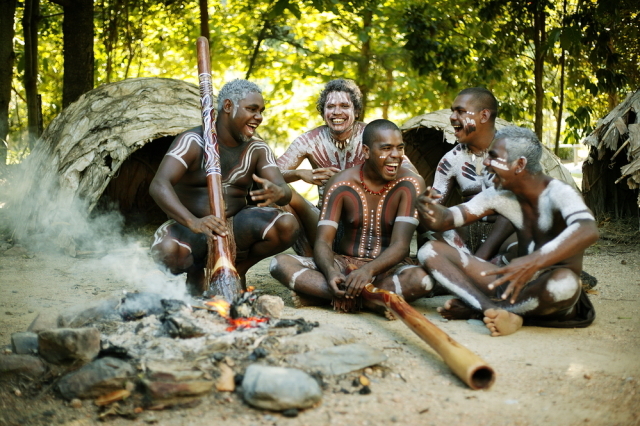 Bama means People, thus the term “People of the Rainforest” which is often used to describe Tjapukai. 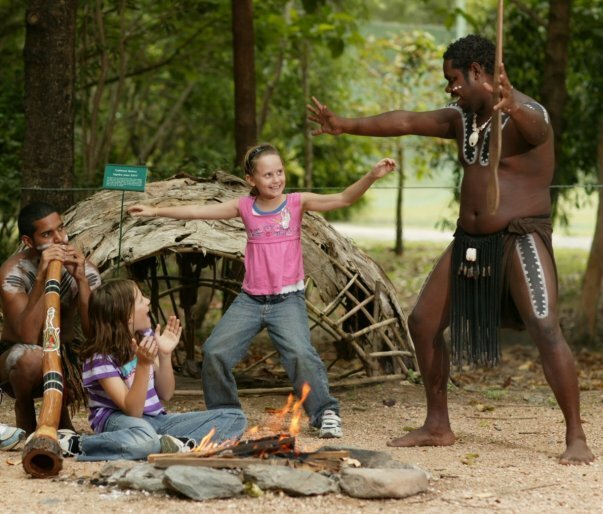 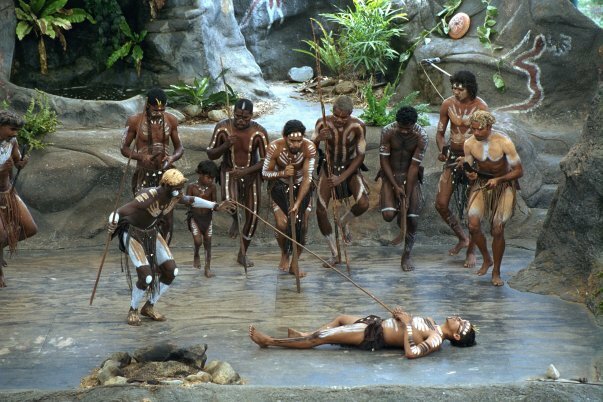 Indigenous people of the rainforest share their culture with interactive demonstrations of hunting, didgeridoo playing, bush tucker and dance. 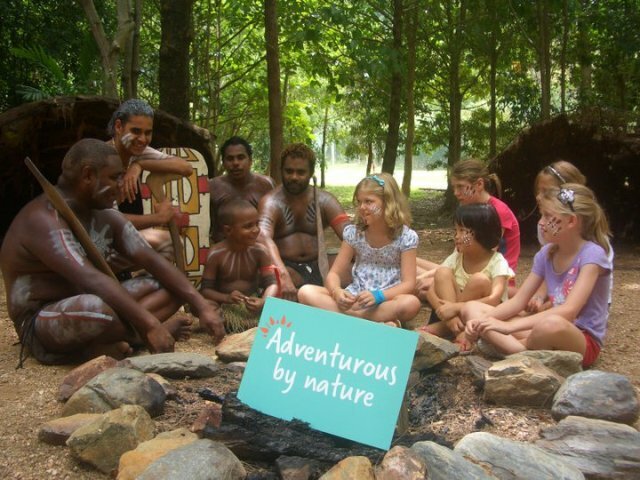 Hunting Tools & Method Talk: Learn firsthand from a Tjapukai warrior how traditional tools and weapons were used 40,000 years ago by the Aboriginal people. 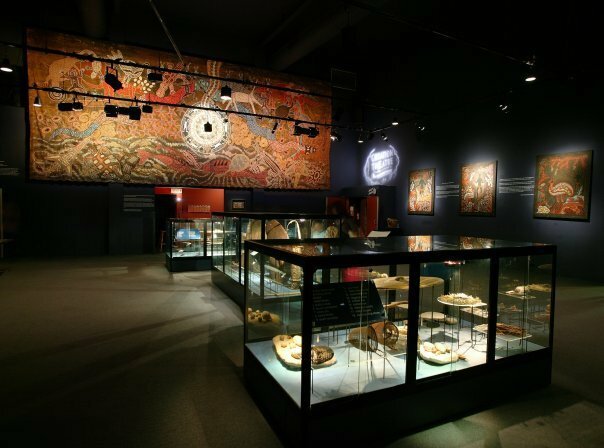 Magic Space: Explore the museum art space featuring authentic artefacts once used by the Tjapukai people and murals retelling the stories of the Dreamtime. 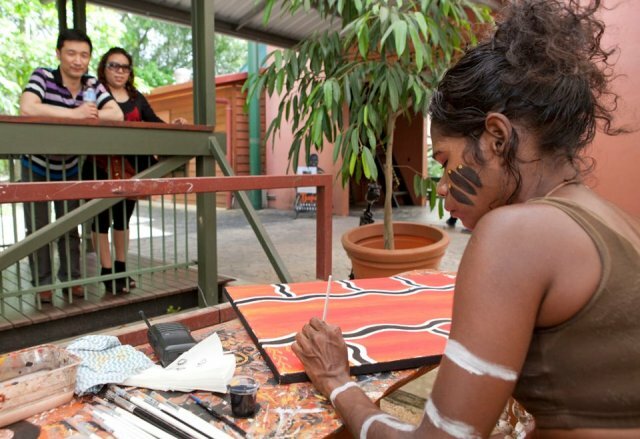 Art of My People: Discover the true meaning behind the world’s oldest form of traditional art. A rare insight into the ‘unwritten’, diverse culture which belongs to the traditional custodians of the land. 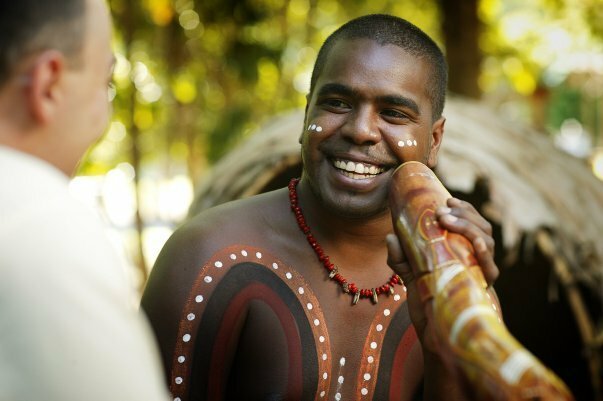 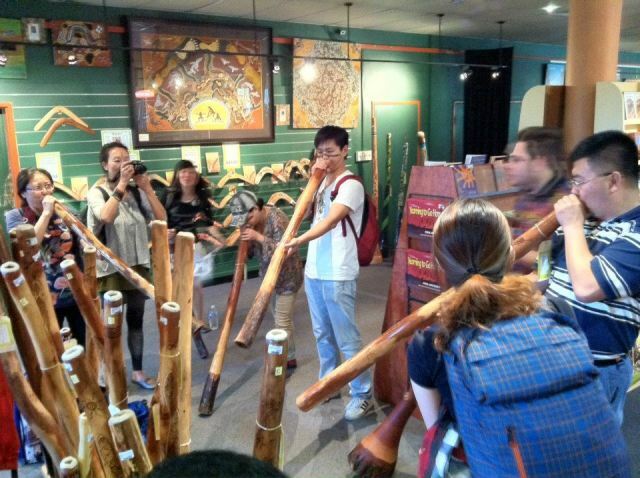 Here you will learn about varying styles of Australian Indigenous Art and the types of artistic expression used by the ‘Bama’ way to identify tribes, languages, dialects and geographical landscapes. 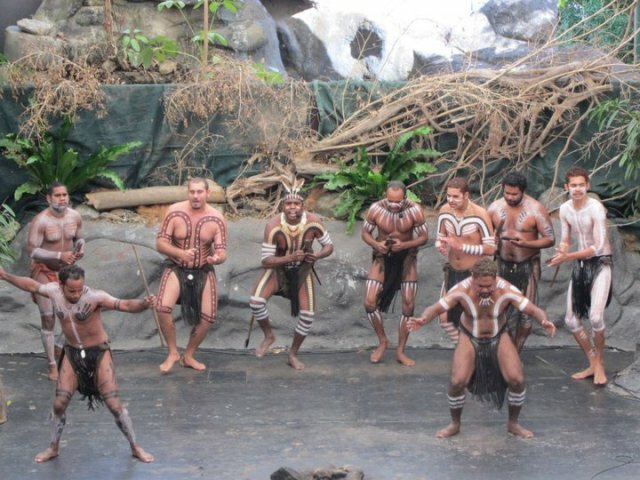 Feel the beat of the drum vibrate through your body as our Torres Strait Island performers showcase the distinct cultural connection between the people, the land, wind and the sea. 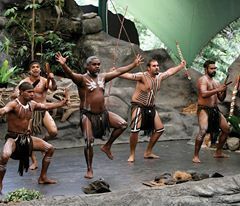 “Sager Thei-um” (which means Sea Breeze Spirit) is a unique blend of music, song and dance brought to you by Tjapukai all the way from the Torres Strait Islands. 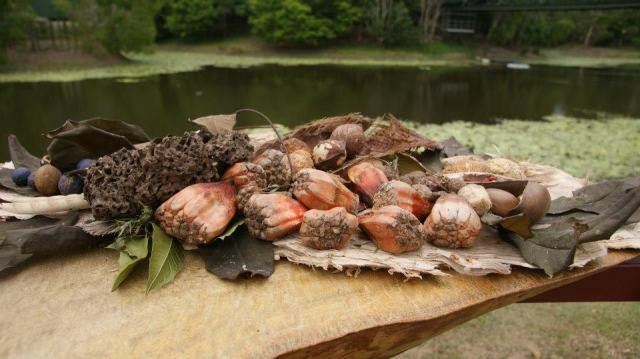 Bush Foods & Medicine Demonstration: Learn how traditional medicines and bush foods were used and consumed in ancient time. 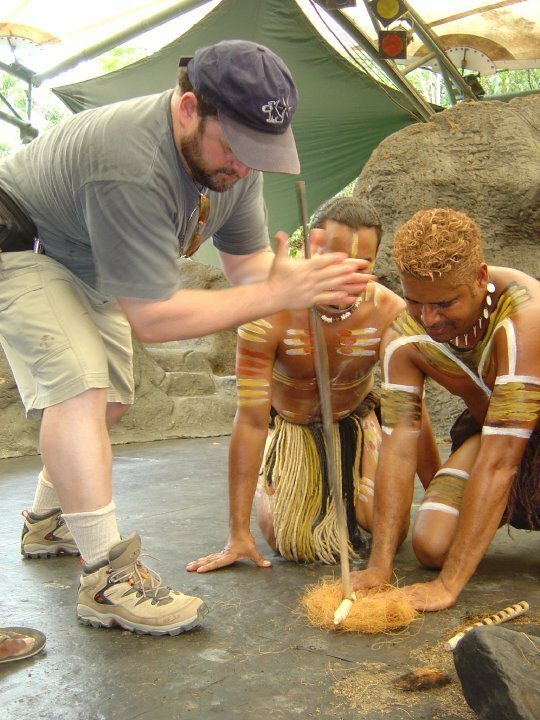 Spear & Boomerang Throwing: Learn the correct technique to throw a returning boomerang and how to throw a spear using a traditional spear thrower. 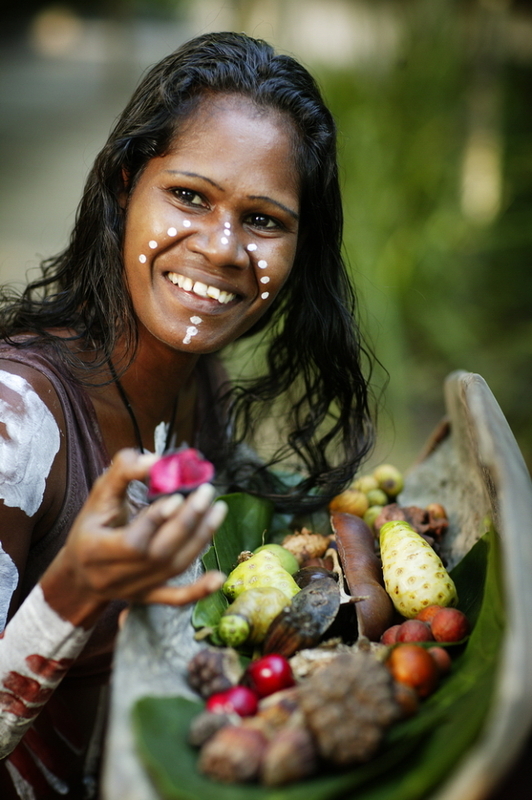 Complimentary Face Painting: Have your face traditionally painted in the Magic Space with natural colours of the rainforest. 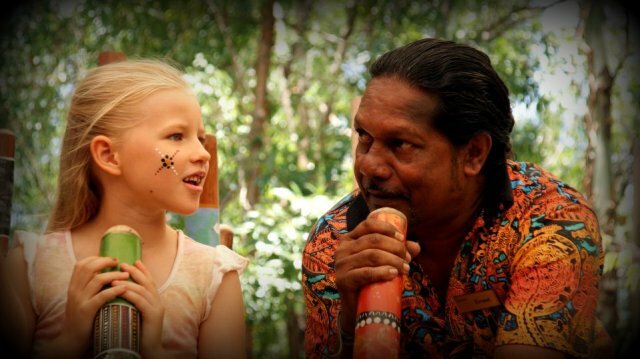 "Bibunbay" Kids Program: From didgeridoo playing to bush tucker, stone painting and boomerang throwing, the youngsters get special attention in this unique program for children to enjoy their Tjapukai cultural experience.